Ilić uncovers Reicha’s romantic answer to the Well-Tempered Clavier. They may be mere studies for the “Use of Young Composers”, but there is endless invention and delight to be found in Czech-born French composer Antoine Reicha’s 34 Études dans le Genre Fugué. 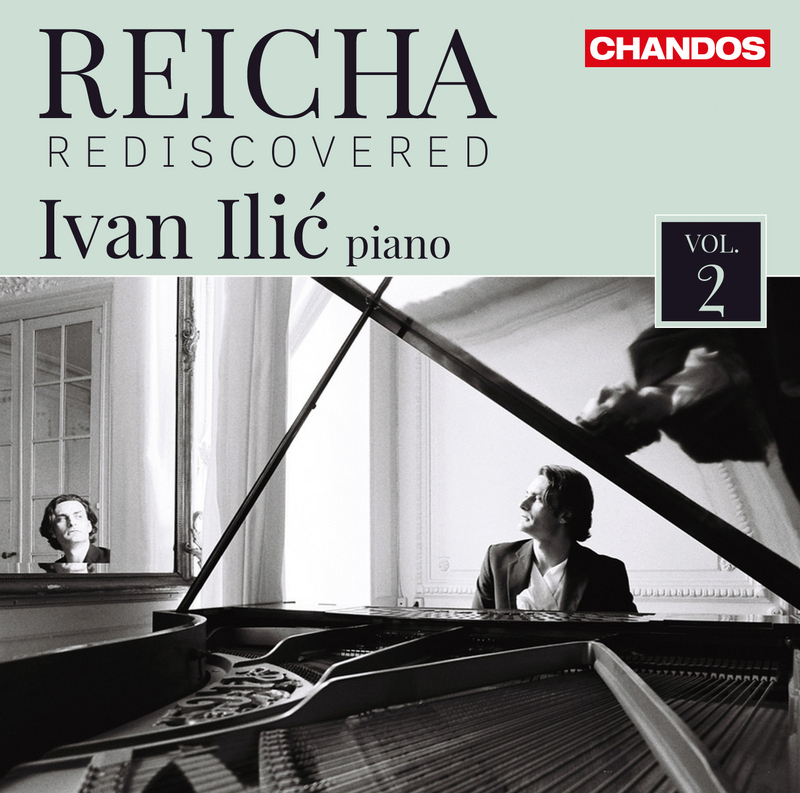 Serbian-American pianist Ivan Ilić’s first volume devoted to Reicha’s solo piano works featured fantasies and a capriccio from 1803’s Practische Beispiele and the Grande Sonate and Sonata on a Theme of Mozart (both c.1805). This second volume comprises searching, sensitively-crafted performances of the first 13 preludes and fugues from Reicha’s Op. 97, published in 1817, as well as an early fugue from his 1807 Op. 36 set. Again, Ilic´ performs from modern editions published by Symétrie and edited by musicologist Michael Bulley. Indeed it is. Many of the preludes, such as the nocturne-like Introduction or the wistful Air in G Major, are gentle and sweetly nostalgic; an E Major Lento even recalls Handel’s “Harmonious Blacksmith” air. Others, such as the A Major Allegretto or the A Minor Poco Allegretto are swifter, spinning dances from a single idea. The fugues, whose themes are as varied and inventive as their treatment, are by turns ebullient and introspective. The first, which follows on from the E Minor Introduction, rushes inexorably towards its final chord with quasi-mechanistic fervour; later, Reicha leavens the lugubriousness of the A Minor prelude’s companion fugue with fluttering trills and turns. Bach is the presiding spirit. But the genius is all Reicha. Rare 19th-century piano works in performances of rare beauty. In an exclusive interview with Limelight, Anna Netrebko speaks about life, art and the things she won’t do anymore. A pupil of Haydn and friend of Beethoven, Reicha was an experimenter and one of classical music's true originals. Where have these transcriptions been Haydn? Ivan Ilić reveals a long lost arrangement of Haydn’s Symphony No 44, “Mourning” for solo piano. Considering the legacy of Morton Feldman, the radical American composer who would have turned 90 this year. ★★★★☆ Meaty winter fare delivered with authenticity and heart.